I know I've said for a long time that slabbing has really gotten out of hand, but I'm the old fart. Can someone please tell me why anyone would slab these? Basically books from the dollar bin in $20 worth of slabs with an extra $20 in shipping. So what is the mindset to sending books like these in? I don't get it. These were in a pawn shop at $5 each. Some people look at a census and see there are no graded copies of a comic. They assume that equates to rarity. OR, they think there is inherent value in grading regardless of the comic. "Hey I spend $1.00 on this and $20 grading to sell for $60". "Hey I spend $1.00 on this and $20 grading to sell for $60". I do see that quite often, but usually there is at least a $20 book involved. I believe that the answer is that people are trying to create value where there is none. some times it's for the covers but those aren't too worthy of slabbing for covers. Many of the WTF would they grade this? 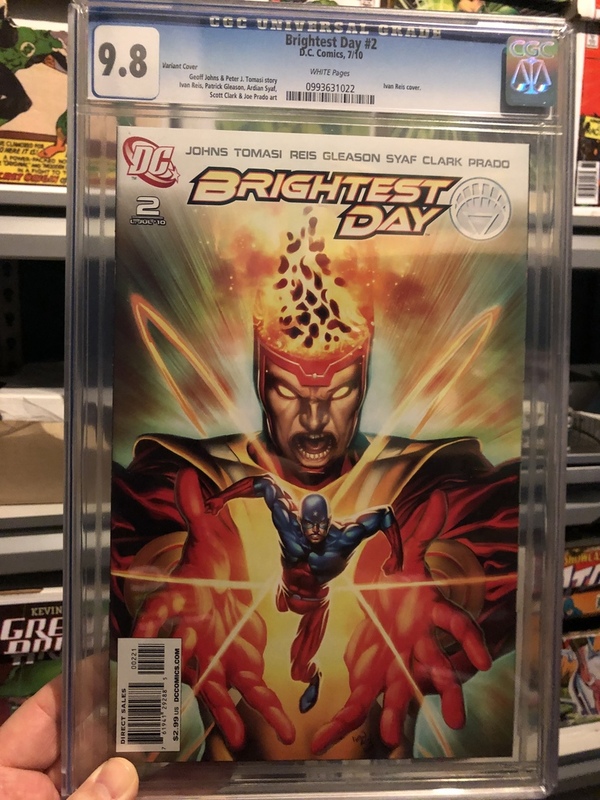 is because of inexperienced sellers (auction houses, pickers, estate sellers, etc) who have no knowledge of comics will figure the best way to maximize the money or ability to sell comics is to get them graded - so they ship off an entire collection to be graded. No rhyme or reason to which books or conditions. I got this back in my latest batch! This i don't have an issue with. 1. It's signed. 2. maybe it's a comic from childhood with some sort of meaning to you. I have a coverless SuperPowers comic from the early 80s that was my first comic. Probably wouldn't submit, but maybe if I could get it signed just for me. Yeah, I know. I was being dramatic. OK, full disclosure. Pawn shop find at $5 each. I did buy them. If the book has been signed slabbing is a way to confirm the signature. Also, sellers do not have to offer returns on ebay for slabbed books. 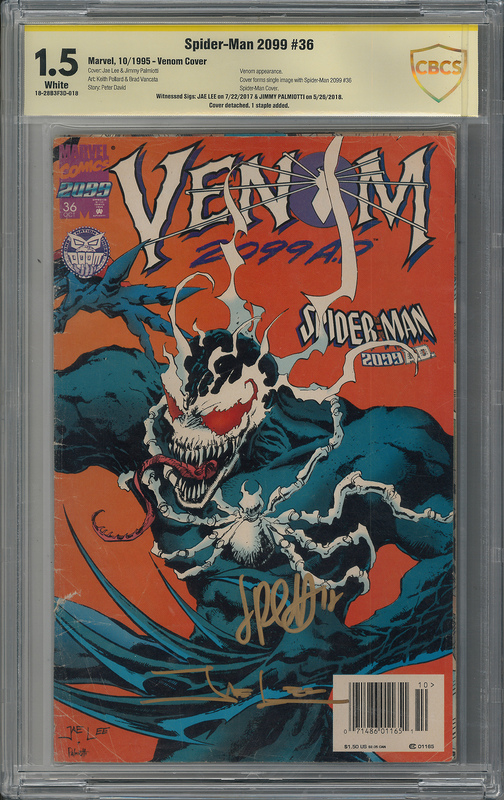 Value / resale isn't the only reason to get a book slabbed. My son is putting together a submission of about 10 books and only 1 makes sense from a financial standpoint. He's submitting (1) The first comic he ever owned (2) some of his favorite books (3) books he liked and swiped from me and (4) books he wants to hang on his walls and thinks would look better / more of a conversation piece in a slab. @VaComicsGuy Agreed. i don’t really like to bother myself by worrying about what other people do. They have their own reasons which may or may not make sense to me just as mine may not make sense to others. Sometimes these seemingly pointless slabs turn into good deals for buyers. 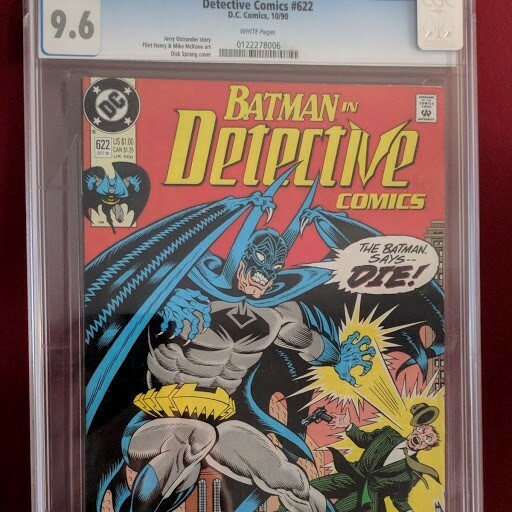 A couple years ago I wanted a copy of Detective 854. My LCS had none, so I looked on ebay, figuring I'd be spending $7 or $8 for comic and shipping. Found a slabbed 9.8 on auction, starting at $9.99 with free priority shipping. I was the only bidder. 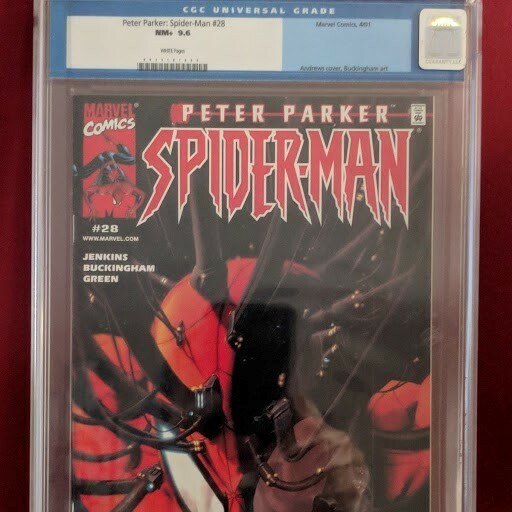 I gave it a 50/50 chance I'd get some sort of excuse email about how the comic was already sold or something like that, but to the seller's credit, he shipped it to me. I felt a little bad about it, given that just shipping it cost more than I paid, let alone the cost of slabbing. That's the most extreme example, but I'd say about a third of my slabbed books (and virtually all the ones that aren't particularly valuable) came from auctions that somehow flew under the radar. Grading Moderns so that one can get either the highly coveted 9.8; or experience the dismay of that paltry 9.6 which clearly is inferior to the 9.8. These submitters failed in their raw grade assessment. Pity. I still marvel at the 9.8 fantasy; it's impact in the industry; and its impact on people. @CatCovers which is why a seller never should offer free shipping in auctions. Not if you’re a top rated plus seller. About a year ago I sent in (Phoenix con) around 13 comics. Some were definitely for value but others were dollar bin beauties. A couple looked so pristine I thought maybe they could score a 9.9 or a 10. I think most people go for value but some do it for the spectacular artwork or sentiment. Still 5 buck deals are always a plus . congratulations! I don't know why people grade the books they get graded, but it costs zero dollars to worry about myself.